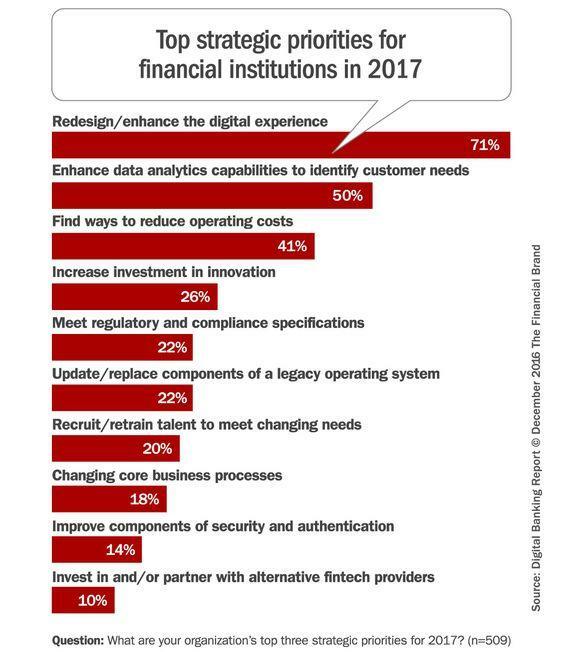 A research study from the Digital Banking Report surveying 500 executives on their 2017 priorities found over 71% of financial institutions globally place 'improving the customer experience' as one of their top three strategic priorities. As traditional levers to stand out from the crowd, such as pricing and product, have been eroded across many industries, customer experience (CX) has become a greater priority. The emergence and success of fintech companies has brought this into sharp focus within financial institutions. Banks and insurance firms approach to CX has too often been ‘our way, or no way’, providing complex, confusing and frustrating processes to apply for a loan, make investments, set up an account or buy a policy. Too many forms, unintuitive online journeys and poor support. And yet there is a large premium in delivering a better customer experience. 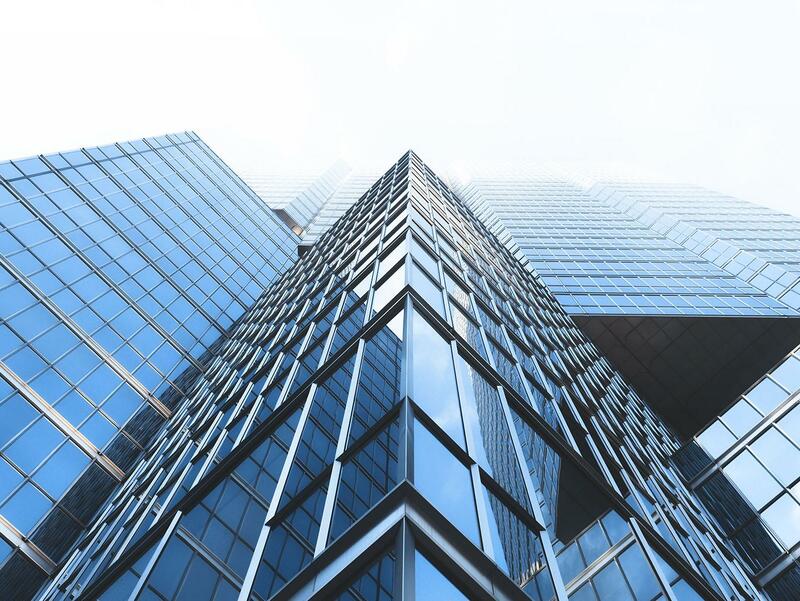 According to Research & Consulting firm The Temkin Group, a bank with $1 billion in revenue that improves their customer success scores by 10% can expect to increase revenue by $850m over the next three years (a 27.5% growth rate). Meantime, Bain suggests that increasing customer loyalty by 5% leads to a profitability growth of 25-90%. Whether the focus is on improving loyalty and retention, increasing cross sell or growing customer acquisition by turning customers into advocates, empowering consumers with better customer experiences increasingly ties into better sales and profitability. Fintech companies have been quick to combine the power of new technologies, that quickly outstrip complex legacy systems of incumbents, with a laser focus on simple and compelling experiences for consumers, often inspired by brands like Amazon to Uber. Fintech understood much sooner than traditional firms that consumers increasingly make decisions based on the ease with which they can interact with their financial institution. Whilst some financial services companies have either been too slow to embrace digital comprehensively or treated it as a bolt on rather than integral to how they operate, Fintech have had no such issues. With a laser focus on digital, Fintech innovators have built customer experiences from the ground up to provide a seamless experience across different devices, often riding the wave of mobile adoption with a mobile first approach. 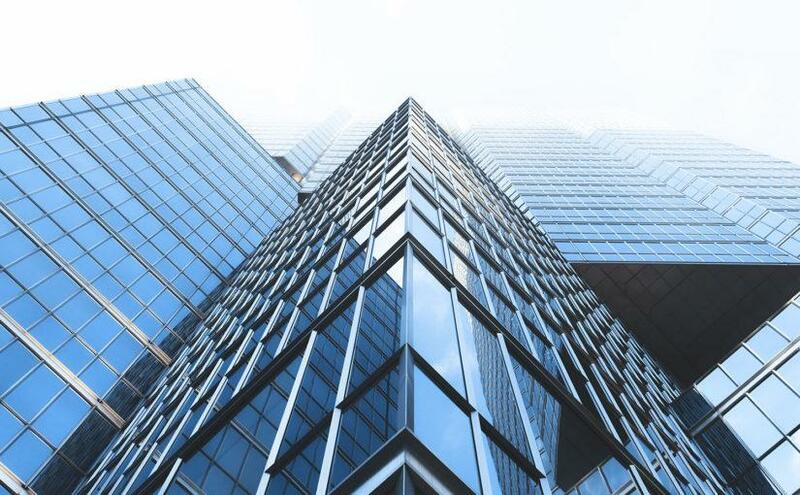 Without the limitations of channel siloed systems, complex integration into legacy technology plus product centric organisational structures and go to market strategies, Fintech’s are provide a fast and seamless digital experience fit for the 21st century. Fintech’s have been quick to adopt new artificial intelligence (AI), machine learning and natural language processing technology to lower costs and simultaneously improve customer experience. The technology is deployed to take over low skill, heavy lifting tasks, enabling early adopters to target human support at higher value customer interactions. AI’s natural language processing capabilities, understanding verbal and written language, can be applied to a range of activities to improve customer journeys, such as virtual assistants understanding voice commands or understanding a social media update and prioritizing or escalating as appropriate. Accenture’s 2017 Global Distribution and Marketing Consumer Study surveyed nearly 33,000 customers globally and found that 63 percent of respondents prefer personalized insurance and banking. Personalized experiences are key to greater relevance and engagement for consumers in their busy lives. The combination of richer customer data to drive intelligent decision making, AI and similar enabling technologies, together with a growing investment in content to deliver rich experiences, provide all the ingredients for personalized journeys that satisfy consumers whilst strengthening business performance for financial services firms. Customer data sits at the very heart of creating effective digital customer experiences. Whereas upcoming fintech companies cannot come close to accessing the volume of data available to much larger incumbents, they have no issues with putting data at the centre of powering their technology. Conversely, traditional financial institutions are challenged in prioritising data that will have the greatest impact and harnessing its potential. According to Boston Consulting Group, this is due to factors such as competing priorities, IT complexity and the lack of a coordinated vision. Having said that, banks and other financial institutions have recognised the scale of the threat from fintech and shifting customer expectations, investing in improvements or replacements to core operating systems required to remove the obstacles of product and channel siloed legacy systems. Fintech startups have focused on how the presentation of data can empower consumers to be more engaged with their personal finances rather than engender a combination of fear and boredom. The clear, simple and visually appealing representation of spending information or investment performance creates added value for consumers who can leverage the insights to save money or make their money work harder. Knexus platform helps retail banking and insurance brands create personalized journeys that engage & convert customers. Knexus specialises in financial services, working with leading Retail Banking and Insurance brands to increase sales.